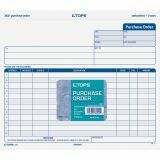 TOPS Purchase Order Form - Purchase order book offers three-part carbonless sets. The original on white paper is printed in light blue ink, the duplicate in canary is printed in blue ink, and the triplicate in pink is printed in blue ink. 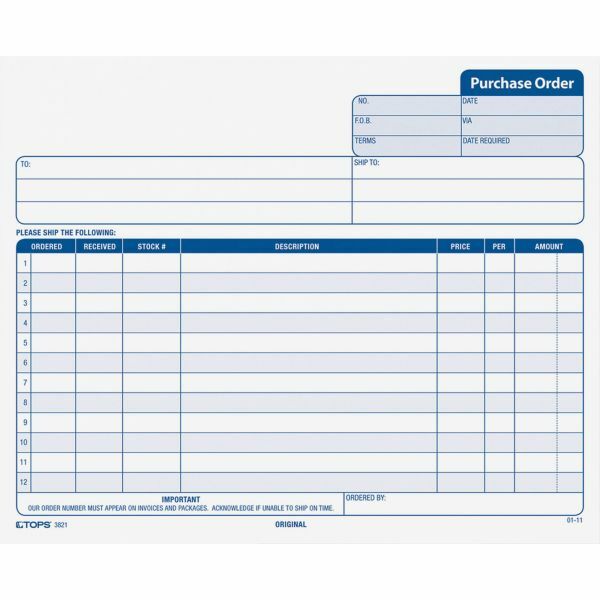 Each form is designed for ordering up to nine line items with spaces for quantity, stock number, description, price and amount. 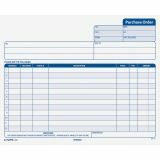 Forms are phantom-ruled" for easy fill-in of recipient, shipping address, person ordering the items, and date. Detached size is 8-1/2" x 7"."